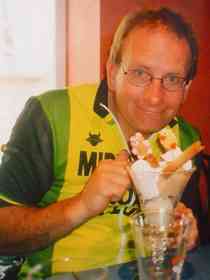 John Coles during the 2004 TDF trip demonstrating his healthy eating regime. 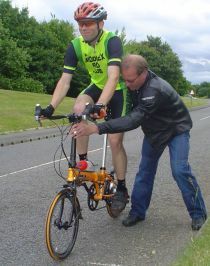 Rob Lind at the start of the evening 10 11th June 2008. His excuse was that he'd broken the tri-bars on his TT bike.